South of Kiev are the defense walls called Zmievy Valy (“The Snake / Serpent / Dragon Walls” - semantic closeness in Slavic cemented the connection of “snake” and “dragon” ). Although the time (or times) of their construction is much debated, the popular, i.e. folk name by which they are known dates from the era of Kievan Rus’. According to the local tales, the walls were connected with the folk hero Nikita Kožemjaka (“the tanner, hide-preparer”). Ukraine has been, from remote antiquity, the theatre of sanguinary battles. It was anciently inhabited by the Cimmerians, extending from the river Kuban to the mouth of the Dniester towards the Black Sea. Herodotus relates, that at the time of the irruption of the Scythians into the country of the Cimmerians, the latter were overcome by the superior numbers of the invaders, and their sovereigns sacrificed by the sword of the victors, and buried on the banks of the Dniester, where the vestiges of their tombs were still traceable. In proportion as the traveller advances towards the east and south of the Ukraine, similar tombs become more numerous; and the Steppes assume an aspect still more monotonous and sterile. Serpent's Wall (Ukrainian: Zmiyevi valy) is an ancient system of fortifications (valla) that stretch across Ukraine, from the town of Zmiiv in the east to Podolia in the west. The ancient rampart, known by the name of Wall-zmiiowy is of considerable length. The remaining ancient walls have a total length of 1,000 km. The ancient walls were built between the second century BC and seventh century AD, according to carbon dating. There are three theories as to what peoples built the walls: either the Sarmatians against the Scythians, or the Goths of Oium against the Huns, or the Early East Slavs against the nomads of the southern steppes. In Slavic culture, the warlike nomads are often associated with the winged dragon (Zmey), hence the name. They seem to be similar in purpose and character to Trajan's Wall situated immediately to the west. There is also another commencing near Biala Cerkiew, which disappears towards the Dnieper, and is called the Rampart of Trajan, a name explained by a popular tradition, but rejected by historical criticism. One of the greatest defensive walls of the old lines, the Dragon Walls are also called the serpent mounds (on the tail they are called Trojans). It is located south of the small river Siverky and begins near the village Kruglyk Kiev Sviatoshynsky area. Having emerged from the forest on the plateau above the valley Siverky, the walls appears to wander in all its grandeur. 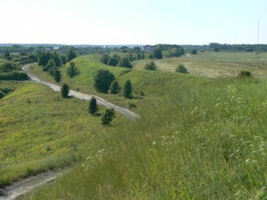 Lower Trojans wall - is located in the Bessarabia, stretching from the Gulf of villages to the city of Belgorod-Dniester. 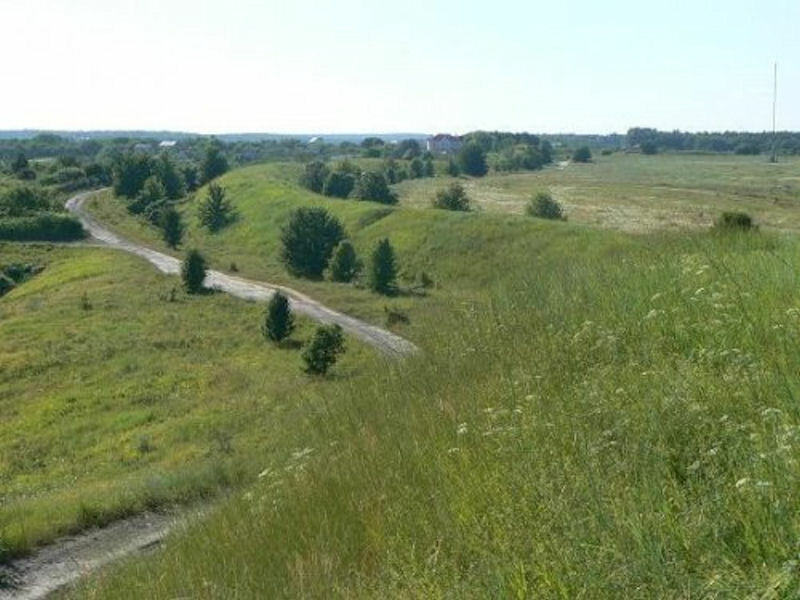 Upper wall Trojans - begins near the town of Bendery (Moldova) and extends to the river Prut continuous line, then turns sharply and connects the river with the Danube-Black Sea estuaries Yalpuh, Kotlabuh Sasyk. 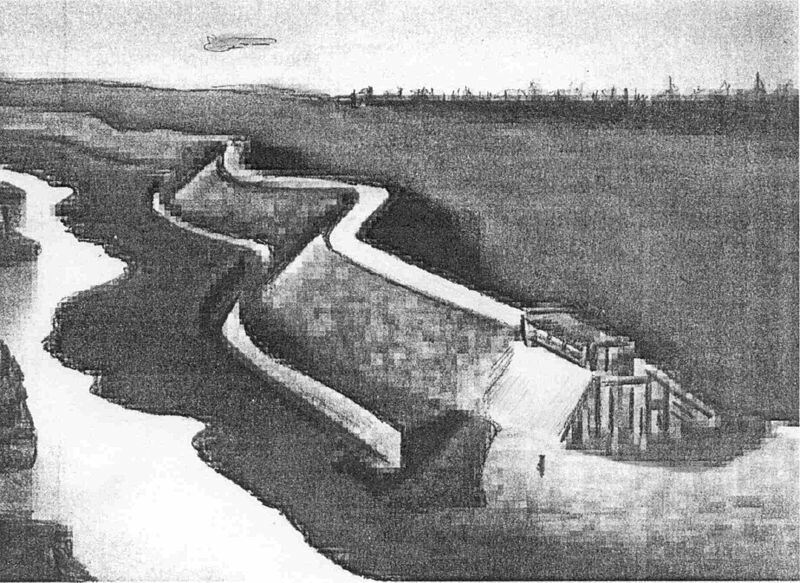 Trojan walls Dniester - a system located between the cities of Ternopil and Kamenetz-Podolsk. Have an intermittent character. 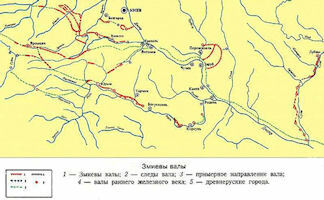 They consist of two levels of the central chain and randomly scattered walls (some of them are even in Bukovina). Dragon walls Volyn - generalization title for a vast number of small-size and length of wall contained in the quadrangle Lviv, Lutsk, Rivne, Ternopil. Dragon walls skirts - the name of solid wall that extends from the mean flow of the river Bug to the central regions of the Cherkasy region and a small number of smaller walls in the same area. Dragon walls of Kyiv - Ukraine's largest system of fortifications on the right bank, which consists of walls of different heights and lengths. It owns first place in Ukraine by total length. Dragon walls Pereiaslav - system of fortifications near the present city Perejaslav-Khmelnitsky Kiev region. Posullya dragon walls - the name of a wide wall that extends along the right bank of the river Sula from its mouth to the mean flow and its branches, reaching almost to the city of Sumy. Dragon walls Poltava - two intermittent wall located right on the banks of the river Vorskla and Horol. Dragon walls of Kharkiv - only two strong redoubts length of 20 and 25 kilometers near Kharkov. Crimean wall - system of fortifications between the Azov and Black Sea, the Kerch Peninsula. In the middle of the first millennium BC Herodotus wrote that the protection of the Scythians locals dug a wide ditch and rampart built by Tavriykih Meotiyskoho mountains to the sea. Val called the Cimmerian. It is generally called the serpent mounds remains wall rivers Even, Red, Trubezh, Stugna and Ros. These walls today reach places fifteen feet (which they were in the old days) Height and several tens of kilometers in length. These walls are really the biggest in Ukraine and kept in good condition, but in other areas walls are called the dragon. In some areas worn walls Ukraine and other names that are characteristic only to specific areas - Large wall, Little, Brown, Ottoman, Polovtsian, trenches, Pereyma, Turkish dam. Paradoxically, sometimes the same wall at one site is called the dragon and the other side is called Trojans. Today it is impressive and is considered as one of the wonders of the earth. Spread from west to east over 8 miles, sometimes reinforcement is 9 meters high. On the south side ditch can be traced; in the first millennium it was deep and served as an additional barrier to nomadic horsemen. On the trail, which runs along the crest of the wall, open long wavy horizon right bank of the Dnieper River. Before the village Hodosivkoyu the wall ends. Evidence of a more ancient origin are found in Perekopsky wall (Poltava region) treasure of Roman coins I-III c. BC. 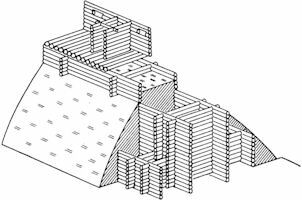 In the construction of walls due to the lack or shortage of stone used less durable material - wood, which was built with log (cage) and filled them with earth or clay, or even did without wooden structures. No doubt only a strong state association that lasted more than one hundred years could carry out such large-scale and long-term fortification work. And, apparently, this association must leave behind some trace of the ancient written sources. But chroniclers remain silent on this issue. It was only by reading between the lines of the manuscript it is possible to guess what rightly passed the land of Old and Bulgars, Magyars and white, capturing the land of the southern Slavs. Silence associated with these long walls in the pages of history. And the same wall is occasionally referred to as a benchmark (eg, a wall that runs along the river. Stugny - between 1093 and 1151 years) or as a convenient place for the defense (walls near Pereiaslav between them in 1095 stopped Polovetskaya horde during negotiations their khans Itlarya Kitana and Vladimir Monomakh, and in 1149 - Yuri Dolgoruky's troops before the battle of Iziaslav). The first mention of them appears in the work of Roman historian Pliny the Elder (first century AD). From the IVthe to the beginning of VII century in the Byzantine (Procopius) and German (Jordan) chronicles repeatedly referred to the union of Slavic tribes that inhabited the land east of the Dniester River. This alliance had emerged to deal with hordes of nomadic peoples who occasionally powerful waves rolled in Great plains of Europe. The first attempts to study the system of walls was made by Ukrainian historian Vladimir Antonovich in the 1880s. 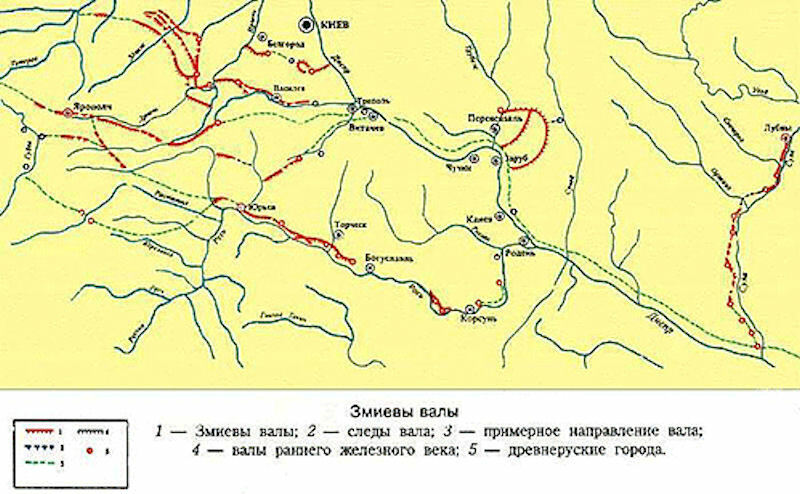 The map was applied in 1912 about 70 miles of walls, dated to the X-XI centuries. At the turn of the nineteenth and twentieth centuries, a significant contribution to the study of ancient defensive lines made by Lyaskoronskyy, who attributed them to the Scythian period, and by L. Padalka. A systematic study of the ancient ramparts conducted only in the Dnieper in the 1960's and 1970s, when a group of researchers and enthusiasts, led by scientist A. Bittern in the 1970's and 1980's, mounted an archaeological expedition to the "snakes walls" by the Institute of Archaeology NAS of Ukraine, headed by M. Kucera. Study Group on the Right Bank A. Bugay identified and mapped seven defensive lines extending for about 700 km, which for centuries shifting to the south, recorded the new frontiers of residence of the people that built them. The length of a wall between Fastov and Zhytomyr is 120 km. 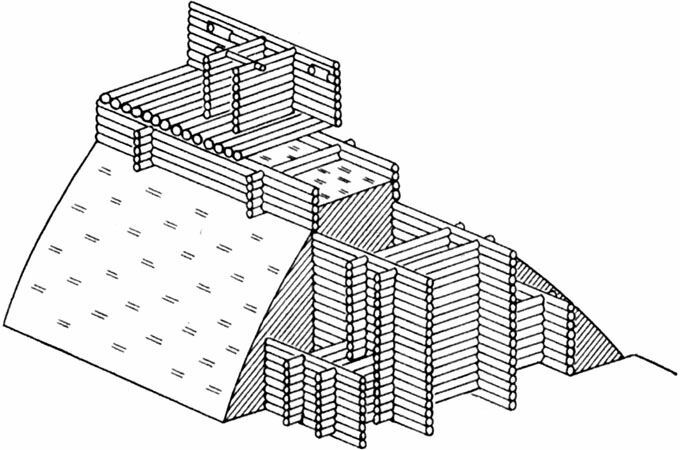 A study with the help of radiocarbon analysis of residues of burnt wooden structures in their walls during their construction dated from the IIth.c. BC to VIIth.c. BC. The result of the research expedition of the Institute of Archaeology, covering Medium Dnieper, and in particular its left-bank part, was concluded that the walls were built mainly in the ancient era, though many of them were reconstructed in the Kievan Rus. Cultural heritage monument of national importance - "dragon walls of Kyiv", is located 10 kilometers from the capital: between the villages Kruglyk and Ivankovic. Dragon walls are a grand system of earthworks erected before the Kievan Rus, which were a clear example of the power and ingenuity of Ukraine's ancestors. Given the unique historical and national scale, these fortifications deserve respect and require state protection. Unfortunately, at present, not all dragon walls are listed in the State Register of Immovable Monuments of Ukraine.